A man has managed to make beer in his own stomach thanks to a bizarre and rare medical condition. Many men have beer guts made by drinking too much booze, but this Texas man was different. The 61 year old found himself continually feeling drunk even when he hadn’t consumed any alcohol. He would be staggering around slurring and inebriated first think in the morning or even after he had attended church. His concerned wife, a nurse, began to give him breathalyzer tests. Even when he hadn’t been drinking any booze at all, the man’s blood alcohol content was as high 0.40 — five times the legal driving limit — according to the study in the July 2013 edition of International Journal of Clinical Medicine. One day, exasperated by his strange condition, he staggered drunk into hospital complaining of dizziness. The doctors tested him for alcohol and found him 5 times over the limit. The 61 year old insisted he hadn’t consumed any alcohol, at first the doctors disbelieve him but when he insisted he really handn’t touched a drop of beer they conducted further tests. When doctors investigated, they discovered the man had a yeast overgrowth in his stomach that fermented food, turning it into alcohol. This rare and bizarre medical condition is known as gut fermentation syndrome or auto-brewery syndrome and only a handful of cases have ever been reported. The man was eventually cured after he was prescribed antifungal medication. Now he registers zero on the breathalyser and has to get drunk the normal way. Source: This case study was reported in the International Journal of Climical Medicine Vol.4 No.7, July 2013. 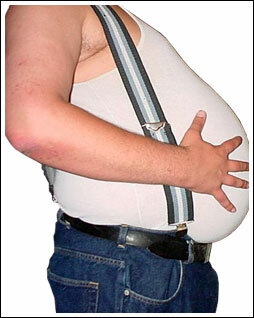 I take beer once in a week is that enough to enlarge my stomach? I’ve never heard of this one… Wow! I like to drink beer at the end of each day, but that would be crazy to get drunk every time you eat a meal that had lots of carbs!